You might be wondering how to remove the Quick Launch and/or Top Link Bar from Sharepoint 2013, well it can be done in two ways. 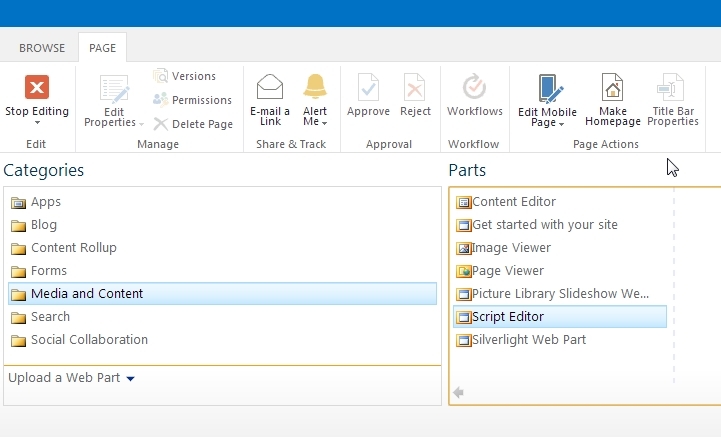 First is by adding a script editor content on you page and another is by modifying your master pages. Lets start! First thing you need to do is to identify which <div>tags you want to disable. 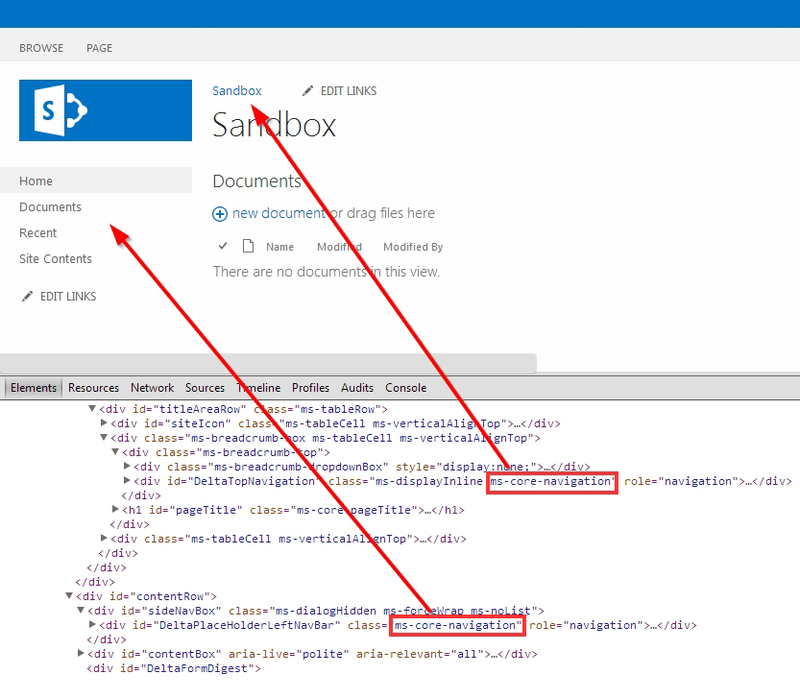 So if you open your Sharepoint site from your favourite browser identify the <div> id’s of the following elements you want to hide but to make it easy here are the 3 main areas developers usually disable or hide. Now that you had identified it all you need to do is embed a Script editor, this is the first method. Hide the following elements you are after, you will also need to re-align your content so it will look aesthetically nice. Here is an example code you might need to use. But wait! this scenario is only for page by page basis, if you want to totally remove the navigation on your Site then you have to do it in codes which is the second method. You can do it by editing your master page. 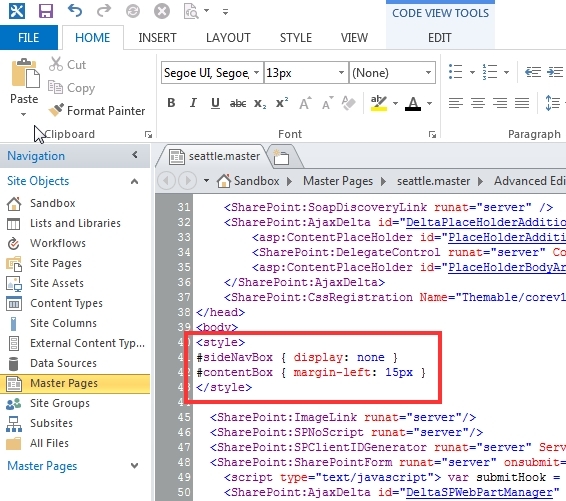 By default if you haven’t done anything to your Sharepoint instance the default master page will be the seattle.master. Add you codes there and it will disable the element you are after for the whole Team Site. 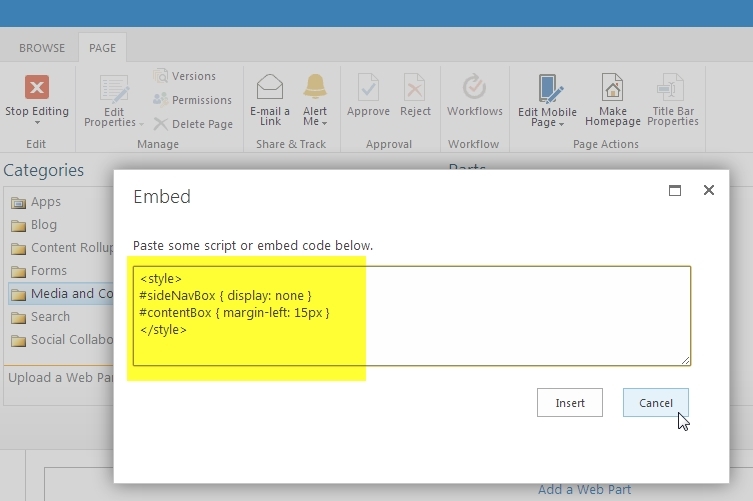 This is because you must use the Script Editor web part, not the code snippet embed option with style tags. Thank’s Bro Very helpful to me……. Thank you. This was very helpful. But now, is there a way to get my other Web Parts to move up and fill in the space previously used by the Top Link Menu bar? That is the magic question, once we remove the top link bar how do we move the content box up to fill in the empty space?? I would guess this is because of the ribbon? Tried some different margin adjustments, to no avail.